Filmmaker, cinema proprietor. The first Welsh-based filmmaker, Arthur Cheetham made his debut movie - of children playing on Rhyl sands - in January 1898, a year after first showing films in the town and two years after Birt Acres had first filmed in Cardiff. Cheetham, a burly, charismatic showman and insatiable gadgeteer, was born in Derby but based in Wales from the 1880s. 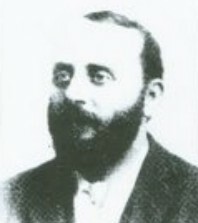 He made films until at least 1912, but was particularly active before 1900, and much of his output (around thirty shorts) dates from 1898-99, which he featured in his own programmes, hiring halls throughout north and mid-Wales. At least eight of Cheetham's films survive, including his 1903 record of Buffalo Bill Cody's visit to Rhyl and Royal Visit to Conway (1899). His Blackburn Rovers v West Bromwich Albion footage from 1899 is the earliest known surviving British soccer film, and E.H. Williams and his Merrie Men (1899) is an invaluable record of a Rhyl popular stage entertainment (a minstrel show). Cheetham's early film titles are self-explanatory, including Rhyl May Day Procession, Mailboat Munster Arriving at Holyhead, Irish Mail Train going through Rhyl Station, and Ladies Boating at Aberystwyth Bay (all 1898). Cheetham took the first film to many rural communities and opened Rhyl's first all-year-round cinema entertainment in 1906 and Colwyn Bay's first cinema in 1908. 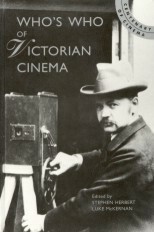 Programmes published for the public hall screenings and cinemas he ran in Wales and the Manchester area in the early 1900s and up to the 1920s supply a detailed, colourful insight into his early cinema practices.